Receiving a gift is a fun, feel-good moment. Do you know how to respond? Receiving a gift is the easy part, but the etiquette is where it gets a bit complicated. As we wrote earlier in our blog, Say It With A Gift etiquette is all about who is receiving it. The same can be said in this situation as well since it all depends on how you want the giver to react when you respond. If you are saying thank-you, do so with sincerity and appreciation. If you have nothing to give in return, do not make excuses about it. You can always pick something up later and make it a surprise gift. In the meantime, ask permission to open it and express yourself with authenticity. The gift-giver will consider your happy reaction a great investment. If the gift is for a special occasion like a wedding, anniversary, or a house-warming party, some cultures do not open gifts until after the ceremony ends. It is a good idea to take your cue from the gift-giver. The rules of etiquette are much the same as when someone gives gifts. Consider the event type before making a faux pas about when to open them. If you receive a card attached to a gift, open it first. If at a party, you can let others know who the gift is from, but do not read the card out loud as the message is personal. If this is a big party where you receive multiple gifts, you need to either keep track or have someone help you so you can say thank-you. It will be an embarrassment to send a note that says thank-you for the wrong gift. It diminishes the act of being thoughtful. 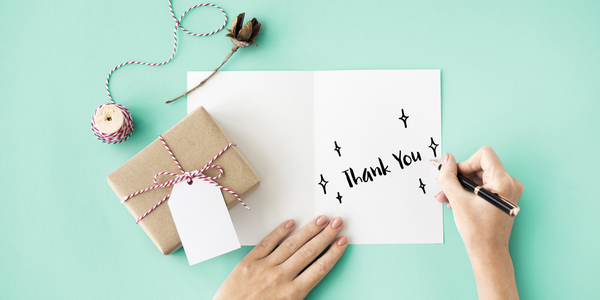 Sometimes, a simple thank-you note is the perfect use of etiquette. It is also considered polite after events to acknowledge the gift to the sender by mail. Use your own script to personalize the note. Take the time to list one or two things you also liked about the gift. Even if it is a horrid gift or you already own ten, you need to express your appreciation because receiving is always easier than giving to a picky person. You should strive to respond to the act rather than the gift itself. Here are a few phrases you can include. Your gift means so much to me. Thank you for thinking about me today. You are such a thoughtful friend (co-worker, etc). Even if you do not like a gift, you need to be discrete in how you dispose of it. Hurting the gift giver’s feelings will not only offend the person for doing a good deed, but it could end a friendship that was worth far more than the financial value. Remember the value of friendship before you make any moves like disposing of, returning, or re-gifting something you dislike.